If you look at the statistics around entrepreneurship, the outlook can be pretty bleak. Over the long-term, most businesses will eventually fail or close up shop. That doesn’t always have the be the case, though. If you start out with realistic expectations, a toolbox of valuable skills, a tireless determination to endure through challenging times, and a field-tested plan to help you get to your goals, you’re going to be just fine. However, some people still suffer from imposter syndrome or remain held back by their fear — whether they are afraid to fail or afraid to succeed. Our goal with this conversation is to remove those fears by helping you take entrepreneurship for a test drive in a low risk environment. In this episode, we talk about three business models that require minimal knowledge, skills, or financial capital to get started, but can be lucrative endeavors to pursue in parallel with your day job. ARTICLE: Success rate: What percentage of businesses fail in their first year? 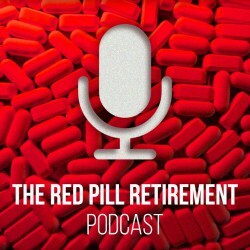 Welcome to the Red Pill Retirement podcast where we give you the raw unfiltered truth about retirement planning in the modern age. 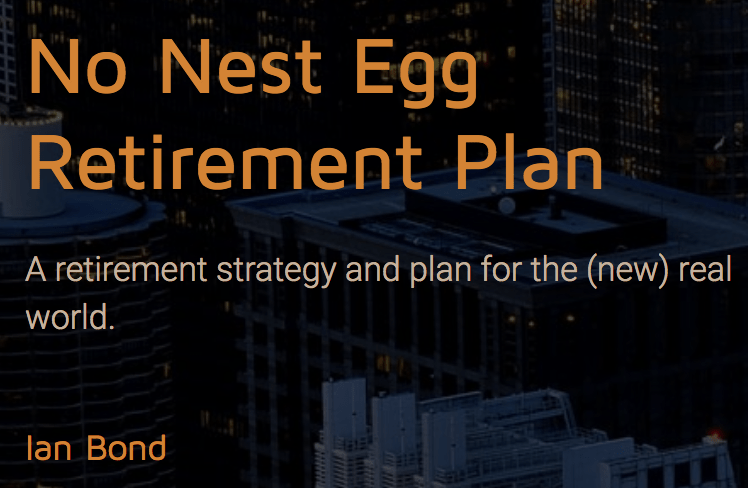 Pensions and 401-Ks are quickly becoming a thing of the past, so we’re here to share resources and recommendations that will help you create the retirement lifestyle you’ve always dreamed of. If you’re ready to take control of your financial future, we’re here to help. Let’s get started. Hey everyone. Welcome back to the show. 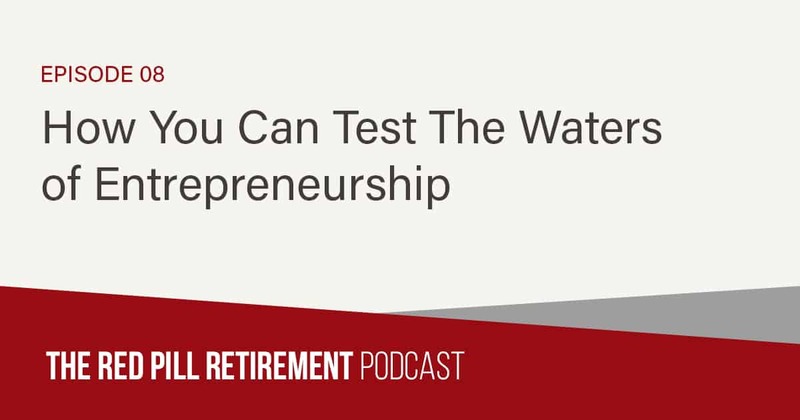 I have another great conversation with Mr. Ian Bond for you today, and in today’s episode we are talking about how you can test the waters of entrepreneurship without investing a whole bunch of time, energy, resources, and capital. We’ve talked about this topic loosely in the past, but today we’re really going to take it a step farther and we’re going to talk about three specific areas of entrepreneurship that are especially easy to get started with and to experiment with to determine if entrepreneurship is a good fit for you. Just to give you a little bit of a spoiler, those areas are coaching and consulting, freelancing and e-commerce. So, my conversation with Ian today is all about each of those options, and the skills and capabilities you need to have, the resources you might have to have, whether that is kind of hardware, software tools or experience, or financial resources, and then what you can expect to get as far as outcomes from each of those. So, I think it’s an extremely insightful conversation and will be especially useful if you are somebody who is working a day job and has thought about doing entrepreneurial endeavors on the side, or possibly even setting yourself off to make the jump full-time so that maybe you can travel the world and be location independent. Whatever your situation is, if you’ve considered becoming an entrepreneur, then this is a conversation you’re going to want to listen to because it will give you realistic expectations and an action plan for making that happen. So, without further ado, here is my conversation with Mr. Ian Bond about this topic, and I’ll be back on the other side of the discussion to wrap everything up and hammer the most important point home for you. All right, let’s get into it. Hey everyone. Welcome back to the Red Pill Retirement podcast. My name is James Sauers, and I’m joined as always by Mr. Ian Bond. Ian, how are things in your neck of the world today? They’re just excellent James. Got back from vacation not a long time ago, and had at the end of the vacation tagged on a stop at the Empire Flippers Retreat, which is third time, third year in a row that I’ve gone to their mastermind. This is for e-commerce owners. It was held in Thailand and so I had a wonderful time, and saw a whole bunch of new folks, and then some that I’ve seen before, and it’s just a great opportunity. You just come back so energized because people are making money in what I call the new economy in ways you just … they’re mind blowing. This year I come back so pumped up and so enthusiastic that I got to remember to channel my energies on the stuff that I know I need to execute on. But, I mean, so exciting to see old friends on the one hand, but then to hear new stories. It’s just amazing. Well, we all struggle with shiny object syndrome sooner or later. So, yeah, the feeling is mutual there. But, I love that you went on vacation, and I love the vacations where you come back and you reset, and you reenergize, and you have a new focus. I am jealous of where you’re at because I’m looking out the window here in Cleveland, Ohio and it’s gray and rainy, and it’s the perfect day to come in and have a conversation like this, but that weather, I don’t know about you, but for me when the weather is bad, it kind of detracts from my energy and makes me kind of like scale back a little bit. We’ve got beautiful blue skies here in the desert, and thankfully the weather is cooling down here now that we’re into September. So, we’re looking forward to our good eight or nine months now. Yeah. So, we’ll just be on opposite sides of the spectrum here because there’s going to be white snow on the ground here before too long. But, today what we’re going to talk about is something that we’ve touched on in the past, and I’m sure that we’ll talk about Empire Flippers a little bit more in the back end of this episode because we are going to talk about e-commerce. But, the topic of focus today is all about how you can test entrepreneurship, kind of dip your toe in the water without a whole bunch of capital without a whole bunch of time, without a whole bunch of stress and just see if it’s a good fit for you. So, today, one question here Ian is that we see the stat thrown around a lot, is that three quarters of all businesses that are started, fail. What’s your opinion on that? Do you think that’s an accurate statement? I think it’s actually that’s low. I think the number is 90% in the first five years, and then 90 … of those that survive, it’s 90% of those fail in the next five years. But, let’s just roll back a second because I would remiss if I didn’t remind everyone that rule number one for Retirement Rehab community is keep your day job. Okay? If you want to de risk your situation, you want to figure this out, lengthen your runway, keep burning at a high level. We’re going to get into a lot of things like change of mindset and things like that. But, the reality is that if you do this from the comfort of having an income coming in, and not from a situation where you’ve got a gun up against your head, you’re going to have a whole different experience. So, that would be my opening comment. Yeah, and I think what we’re trying to say here is, yeah, the statistics can be jarring and they might be true, but don’t let that hold you back from trying because if you go about it in the right way, you can greatly increase your chances of success, especially if you get multiple times at the plate swinging the bat, right? And, part of the way that you do that is to not quit your day job and pursue entrepreneurship on the side so that you have money coming in, you have that kind of stable floor and you’re experimenting on the side. Then when you do hit that one that has traction or product market fit, then you can jump ship and you could go in entrepreneurship full time if that’s what you want to do. Yeah. So, a lot of people ask me, what are … how do I know, okay? What are the personality traits that I have to have? What is the secret sauce that is going to allow me to succeed outside of my career doing this entrepreneurial thing that you talk about? There’s, I think, people like Robert Kiyosaki who has a book that the title of the book is “A Students Work For C Students And B Students Work For The Government”. So, people that basically say that if you’re kind of … if you excelled in the traditional education system, and bought into the concept that you have to be right all the time, which is what the A student, the reference is, that that’s a red flag. C students were usually the daydreamers, and the ones that were accustomed to failing and dusting themselves off and trying again. Then I don’t know what his feeling is about B students working for the government, but I’d say that what are the personality traits? First of all, if you’re a career professional in a very structured environment, you need a mindset shift, which is what I’m alluding to. You’re going to have false starts. It’s going to be a process where you’re going to try things, and they’re not going to work right away. You need to be persistent. I always mention that we can, we always achieve more than we think over a long term and probably less than we think over a short term. You can’t get down on yourself. In the e-commerce world, I can tell you that it’s a very lonely pursuit. The same thing goes for people that are doing coaching, consulting or people that are looking for their first of freelancing gig. It’s a very … When is it going to come about? It just takes time. So, I think that you’ve got to change your mindset. You have to be persistent, you have to be very organized. Those would be the three I’d just throw out to start the conversation. Yeah. Just my knee jerk reaction to hearing some of those recommendations is that if you’re in sales, you’re probably going to be okay at entrepreneurship because you take a lot of rejection, you have to be persistent, you have to experiment with your strategies and tactics to figure out what’s going to work. Then when you do find out what works, you just kind of double down on that, and it becomes effective. So, I’m hearing a lot of things that sound to me like a salesperson might be a good fit for that. I totally agree on the organization front. One thing that I think we might also want to add is that you have to be great at discipline and accountability [crosstalk 00:09:26]. I was going to buttress your comments about salespeople being right because I’ve been a salesman my whole life, and I would tell you that I could use a big dose of my wife’s discipline. She’s very, she tells, she says she thinks linearly and she is … sets up her day and knocks them down. I not only admire it, but I’m jealous of that. So, if you can get a balance of that. I can teach anyone to sell. I mean, I can certainly talk people through how to hold a conversation with people, and there are lots of people that can do that, but I think that that self discipline aspect that you mentioned is just enormous. So, in an entrepreneurship sense, you can’t have the end goal in mind and just not have a plan for getting there. You have to have the plan, and then don’t focus on getting to the end, focus on getting to the very next step. Then the very next step. Then the very next step. Yeah. So, you know I’m in senior management in my day job, and with 100-ish people reporting to me. On any given day, no matter how committed I am to have my day go a certain way, there are things that are going to become unglued. Situations arise, and you’ve got to with the flow. That would frustrate a lot of people, okay? I try to keep it as organized as possible. I would tell you that you try to set yourself up for maximum success, but you got to go with the flow. That can frustrate people that are more linear thinkers. There are people that don’t want to have that people interaction. What’s right for them might not be right for somebody that is more accustomed to distractions. … Or Winston Churchill or someone like that, so I’ll have to get that to reach right there. But I think that’s the case in entrepreneurship and you have to be able to, and willing to adapt your plan to your changes in the environment. Yeah, I couldn’t agree more. You know, having said that, there’s the old Mike Tyson quote, that everybody has a plan until they get punched in the nose. So you don’t forget that one. Love that one too. So I think what we’re talking about here today is we have some traits that might make you a better candidate for entrepreneurship. But really what we want to focus on is if you want to get testing entrepreneurship in the next 30 days, where can you start? And I know that you’re a big advocate for three primary channels, so maybe you can walk us through that and then we’ll click down into each one and talk about the resources and capabilities needed to be successful in each one. Sure. So I think that there’s basically a subset of people that are very highly likely, have the opportunity to either consult because of generally kind of career backgrounds or coach, which could be some kind of skill, but it also could be a passion. So I put coaching and consulting in one bucket and they’re a little bit different. The second is more skill based, which is freelancing and helping people with very specific tasks they need done or to help them get very specific outcomes because of your skills. There, that could be help, because people need some writing done for them, whether that is product descriptions or whether that’s a blog post. Then there are people that are communicators, people that are … The number of people that teach English over Skype. But using the written or spoken word is a way to … Away from a different skill than a skill that might be around editing, or PowerPoint or accounting or bookkeeping or something like that. And then finally the primary thing that we’re doing is that we’re involved in e-commerce sites and so we sell stuff online, and so doesn’t really require any kind of real genius, but you kind of learn how the platforms work and you try to pick products and niches that you can make money in, and you’re a very gifted if you’re more creative than me and find something that is wildly successful. But e-commerce is a way that you can make money while you sleep because we do, because America is shopping when we’re asleep, pretty every day. Yeah. So those are the big three. And really we kind of pair coaching, consulting and freelancing together, then e-commerce is a little bit different. So maybe we’ll start with the first two, and it sounds like coaching and consulting really is getting paid for what’s in your head, and then freelancing is more getting paid for what your hands can do. Right? That’s the way I like to think about it. Technical skills versus strategic advisory. So as a coach or consultant, you’re using your thoughts and your experiences to help somebody else be more effective in their role by what you communicate to them. And then with freelancing, you’re helping people be more successful by actually taking care of projects and tasks that they need done. Yeah. So let me just throw in another dimension there. So there are career professionals that haven’t found the online world and they have a very specific high level knowledge and they’re stuck in a geography where there’s not enough need for that, and they can immediately expand their career professional audience by having an online presence. And those are the people that I think of when I think of consulting, and maybe they’re strategy people, maybe they’re medical practitioners, maybe they have been incredibly specific skill set or body of knowledge, and all they really need to do is expand that, have an online presence that’s attractive, which is fairly easy to set up and they are often running, and they would love their life more than just being limited to their local area. Now, when we talk about coaching, coaching could be anything from playing guitar, or I’ve seen people coach tennis lessons online, people training dogs, coaching people who want to train their dogs online. There are … It’s anything from stuff that’s very professional to hobbies, and how to lengthen your golf swing or things like that, or improve your golf game. So there’s all kinds of things in coaching. And I think of it more as, I don’t want to say more of a hobby niche, but maybe less technical. But also benefits from the fact that the world is now virtually limitless if you speak English, and if you have an internet connection, and if you’re alive today, you got the big three, you’re good to go. Most people have some knowledge base that they can either consult on or coach on, I think. Yeah. And I think that’s an important distinction to make between coaching and consulting, and how we put them in the same bucket, but they’re not exactly the same thing, and one might be a better fit for you than the other. So I think what I want to do now is, go take it to the next level. So if somebody does want to get started with coaching or consulting, what kind of knowledge and skills and capabilities do they need? 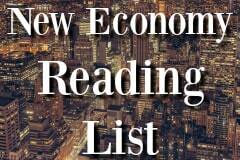 What kind of capital investment, maybe some tools that you would use to get started? Let’s say they want to start in the next month, and they want to get their first coaching or consulting client, what do they need to do? Look, the first thing you need, is to have an online presence and so for $99 you can probably have a decent website up and you can start to have an online presence. Depending on what you’re doing, there are consulting sites like clarity.fm where you go and build a profile, you start to get involved in for, and if you are a … If you’re going to do coaching, you would have the website and in both cases you would go to find as many forums as you can find and start contributing to forums, start publishing content on your site that talks about what you do and what your unique approach is. There is a very disciplined way to attack this. I do coach people and there is a … The cost is not high to get into either consulting or coaching. I always tell people that to the extent that you can accelerate your familiarity of how to do a few of the things that you may not know much about, save money for courses, save money for communities like ours where you can learn a lot, invest in yourself, far and away the best investment that you can make if you’re in your 40s, or 50s, or 60s, is to learn some of these newer things. Spend the money wisely, but learn them. Get some one on one coaching yourself. I’m a big believer of it and have a couple of coaches that I use regularly. So I think that’s the best way to start. It’s not expensive. 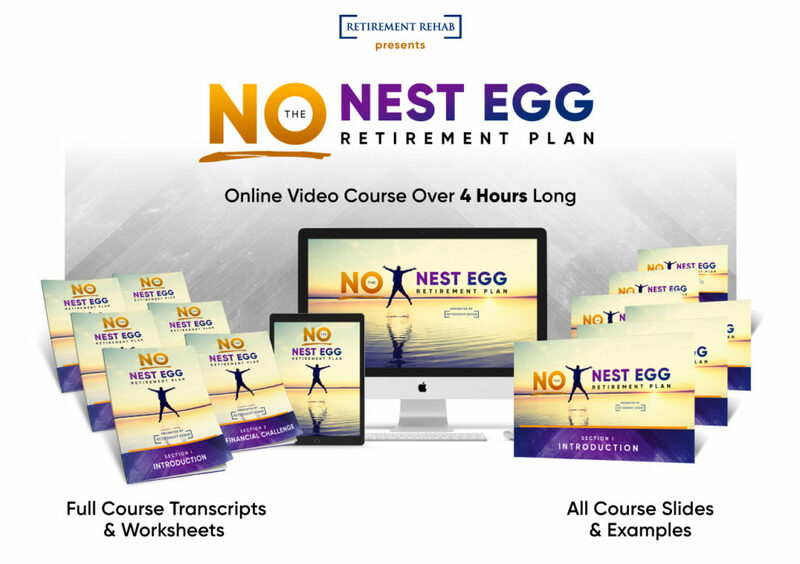 And if you listen to rule number one of the retirement rehab, which is keep your day job and maximize your income, your current income and lengthen the time that you’re going to earn that income, you’ll be able to gradually come up the curve. But it’s not expensive, it takes time, and you can substitute money for time, more time for money. Right. So it sounds like to get started, the bare minimum you need, maybe a website or an online presence so people know who you are, you need a place to find clients, so that’s your forums, maybe your clarity.fm kind of site and then you just need some kind of tool to do what you and I are going right now and have a call. Like that’s kind of most of the coaching is going to happen, and then finally you’re going to want to set aside some money to invest in training and professional development for yourself, so you can learn some of the specific skills and nuances that it takes to be a great coach if you’ve been a great executive or professional in a past life. So I love that. I think that’s a great playbook for getting started with coaching and consulting and I’m expecting that they’re going to be a lot of parallels, a lot of overlap with freelancing, but what are the specific aspects of freelancing that somebody might need to plan for in the same kind of areas? Well, so in freelancing, I think you want to kind of define what it is that is the task that you do particularly well that someone might just abhor. So for example, if you happen to like working quietly with numbers, you could do bookkeeping or accounting if that’s your thing. In the e-commerce world, there’s a huge need for people that can write product descriptions, people that can write blog posts, and I’m not talking about sophisticated writing here, I’m talking about the very low end of writing. Now, you can also look for copywriting if your skill set is at a higher level, and you can actually be on the copywriting courses and things like that. But in the freelancing world, what you’re essentially looking to do is, take off the plate of someone who doesn’t want to do something, that thing and then figure out how to scale that yourself so that you can maximize your earnings time versus your time looking for next gig. Yeah. And I think that what we also want to mention here is that you can tap into an existing market when you need to find that first client. So once you’ve nailed down what you want to do, you want to get onto a site like Upwork or something like that, and there are literally thousands of clients looking for somebody to do probably the exact same thing that you came up with. And one thing, one specific example that I’m aware of, that I heard recently on another show was, there’s a person who specializes in building predictive models and dashboards and stuff inside of excel. I mean, that’s work that I would never, ever, ever want to do, but there are a lot of people out there who would. Yeah. So you just … They give you raw data and this guy builds a dashboard that updates as you change numbers and does all the calculations and stuff, and it looks beautiful and that’s what he does. If you can do something like that, and you … you know, he threw her name out and said she’s wonderful, and I wrote that down and that’s something that we’re looking at doing right now. So that’s a very specific thing. She loves doing it, she’s an expert at doing it. I mentioned in our last episode that we’re also … have got a very big quiz going on right now. We’re doing surveys, asking people about a number of different things. And so there are people that design quizzes and surveys to maximize the results and kind of the intelligence that you get so that you can help your audience, as well as get kind of the demographic feel. So there are people that do that. There’s just an amazing number of things that you … that I certainly am not going to spend my time to learn, but that I appreciate and that are very specific skills that you can differentiate yourself. I have a friend, Matt Tran, and I’ll give a shutout to Matt. He is in … he just turned 30 and he has a YouTube site called Engineered Truth that’s three or four years, maybe more, in the making, and he schools people. I think his most popular series is about professions where you don’t need a college degree. Each of these things is about a profession, it’s no degree required. The one that he always kind of talks about is the need in things like paid advertising and social media. There are no degrees in things like that, and there’s just an enormous demand right now. So if you have those skills, you are head hunted almost immediately if you put these skills up on Linked In. There’s just lots of different things that you could do, to be honest. … then you work for you, to that person. So with Matt, it’s jobs that don’t need a degree. With the Excel specialist that I mentioned, he doesn’t just do spreadsheet work, he doesn’t do data entry, he creates beautiful business intelligence dashboards inside of Excel and then delivers them to his clients. That’s where you want to get if you’re going to test freelancing out. Absolutely. This podcast is being recorded, I’m sure you’re going to give this to a video editor, okay. You’re not going to do it. I’m not going to do it. Right? And that video editor’s going to make this look fantastic, okay. And they’re all … the number of opportunities out there are just about limitless, and so it really kind of depends on what is that unique thing that you like to do that other people don’t want to do or can’t do. And I can confirm from personal experience that that video editor is a freelancer. So it’s a perfect example of what we’re talking about, handing it off. So the last thing that we want to cover here today is, probably … I’m not going to say it’s your favorite model because I don’t know that for a fact, but it’s the one that you’re doing right now. So tell us about what it takes to get started with eCommerce from a logistical standpoint. So I think that the first thing that you have to do in eCommerce and … is to kind of understand what the … you know, what is valuable in an eCommerce site. What is the right business model. And there’s some training that you need, which we can link to so that you can learn that. And once you understand kind of what a good eCommerce site looks like from a technical standpoint, kind of the types of products, the margins, the niches, you know, what are the things you should be looking for, what are the things you should avoid by the plague. Once you get that basic information, then you have kind of a question that’s binary. Are you going to build or ar you going to buy? Being 61, I’m not building. Number one, I would rather buy a … even a starter site that I see has got some traction to see if I can make it work and only spend … you know, less than 10 thousand dollars on it and see if I can make it work, than I would to actually start from scratch and upload products, figure out what it is … the niche. And I have no ability, living where I live, to call suppliers in the United States. So when I’m looking for eCommerce sites there are a lot of things that fit into the box, but I would … I’m a buyer, not a builder of websites. My wife and I, we made that decision a lot time ago. It’s worked out very well for us, and God bless them. There are a lot of people that are in their 20s that will build websites and then get an attractive offer to do something else, and suddenly they’re a seller of something that they put tons of time into and tons of hours into. And if it fits my criteria, I move pretty quickly on those. Well I love that advice, and you know … what I’m hearing here is, freelancing and coaching and consulting are things that are lower on the capital investment side. You can get started today with very minimal money, really. You’re trading your time and your expertise for the revenue. Ecommerce is going to take a little bit more capital, but it also has uncapped potential and you can scale beyond yourself. You’re not trading time for money. You’re not necessarily limited to 24 hours in the day for your earning potential. It’s all about how you can grow the store and how you can sell more product that determines your overall income. So yeah, let me just buttress that with a couple of things. If you are a consultant or a coach, you can also get kind of the leverage on your time by doing course creation. Okay? So that’s something that once you find out that people really need, and after you’ve had several clients, you can do course creation. That gives you the ability to scale and earn money while you sleep. On the other hand, on eCommerce, if you want to trade and spend time you can build and it doesn’t cost you money. So both of those have the ability to scale, and both of them have the ability to get in real cheaply. So you know, it’s not a question of one being more expensive. It’s really up to you which approach you want to take. Right. Right. And you know, today we didn’t have a whole lot of time to go deep on each of these. But the good news is, in future episodes we are going to do like a case study on freelancing, maybe hear a story from a freelancer and things like that. So if you’re sitting at home, like, “Give me more. Give me more.” We’ve got more in the lineup for you, just please be patient with us. But the point that we want to hammer home here today is, go … if you want to do coaching, check out Clarity.fm. Check out Upwork if you want to do freelancing. Check out Empire Flippers, or the course that we’ll link up in the show notes if you’re interested in eCommerce. That’s your first step, just get started. Start somewhere. In just a little bit of information, education to give you enough to take that first step. But take action, and then by the time we see you again with that case study you’ll already have some progress, and then you’ll have a real world example of somebody else that got it done that you can kind of model and take it farther. Yeah, and if you’ve heard this and you’ve got a specific case that you’d like us to talk about … Ian Bond at My Retirement Rehab, or leave a comment down below on our YouTube channel or on the blog page. Let us know what you’d like us to explore. We’re going to start some place. Yeah. I love that as a call to action, and just to clarify, that’s Ian@myretirementrehab.me. Not dot com. So make sure we get that email address right, but yeah, send in any questions you have. Ian has graciously offered to take care of those, and we might even cover it in a new … another episode in the future, and maybe even give you a call out for it. So I hope you enjoyed the conversation today, I know I did. Ian will be back dig a little bit deeper into each of these, but thank you so much as always for your expertise, and we’ll talk to you next time. It’s always a pleasure and enjoy the great weather there. Thank you. Thank you. Alright, take care. Alright folks, so there you have it. 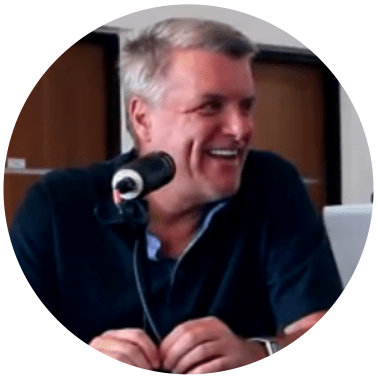 That wraps up my conversation with Mr. Ian Bond, all about how you can test the waters of entrepreneurship with just a little bit of time and money, and figure out if it is the right fit for you. Now today, we talked about something very important, which is extending your runway by not quitting your job and experimenting with entrepreneurship first and figuring out if it’s right for you. And then, and only then, if you see some traction or you really fall in love with it, or you’re generating more revenue from freelancing than you might be from your day job, then maybe you can think about making the jump. But before that, you’re going to want to definitely take entrepreneurship for a test drive. We talked about three ways to do that today. There’s the coaching and consulting model, there is the freelancing model, and there is the eCommerce model. And we talked about the knowledge and skills, the capital resources, and the tools you’re going to need to be successful in each of those areas. We even took it a step farther and gave you specific places where you can go to find your first clients and land your first project, and start actually delivering the work so that you can figure out if this is a good fit for you. So I think this was an incredibly insightful and valuable conversation with Ian, as it always is. And we talked about a host of websites and tools, so I’ll make sure that all of those are linked up in the show notes for your reference, so that you can jump quickly to where you need to go to get started. I really appreciate you taking the time to listen in to this show, and all of the other episodes that we’ve published in the past, and I know that we’re going to have some more great conversations just like this one in the future. If you know someone who would be a good fit for … an audience member who maybe is considering entrepreneurship for themselves, then please, please, please do not hesitate to share this with them. We want to get our message out to as many people as possible to empower them to take control of their life and their future by becoming a small business owner or a technician. That’s all I have for you today. We really appreciate your attention and your support for the show. As always, we’ll see you for another great topic on the next episode. Take care, and we’ll see you next time.